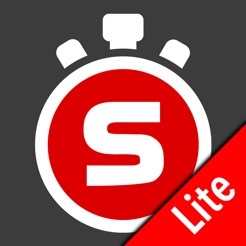 Super Stopwatch is a stopwatch application with customisable events. Events are useful when you need some notification at a specific time and you can't look at the stopwatch. Events can be spoken, play sound or vibrate at specific time. 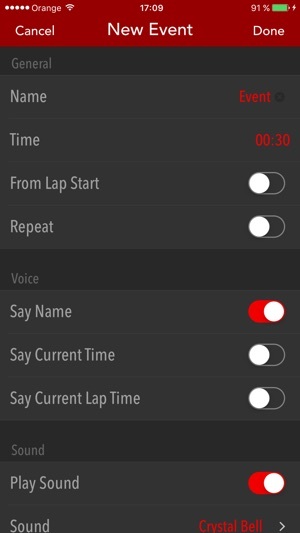 Events can be also configured to announce you stopwatch time or lap time. Events can be repeated or fired only once. 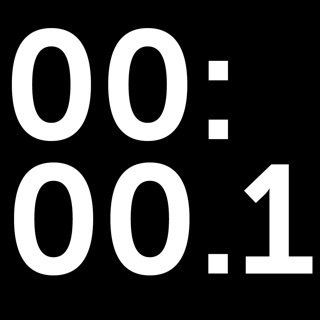 Events can be timed from start of stopwatch or from start of current lap. 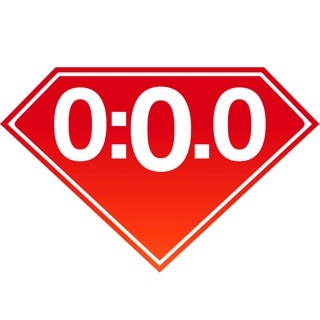 Super Stopwatch groups events into profiles. 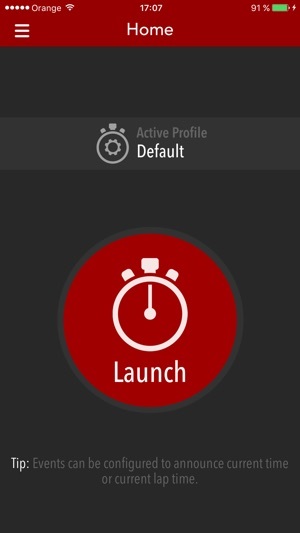 Switching between groups of events is made easy by selecting the active profile. All records are saved into history. Free version includes ads, allows only one profile and allows to view and share only last 5 records. 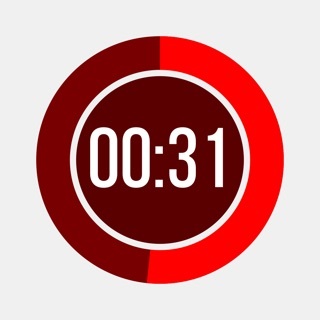 Standard mode - this mode records lap split time at the start of a lap. 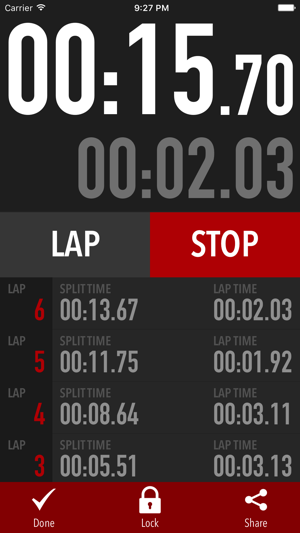 For that reason the first lap is added immediately after stopwatch starts. 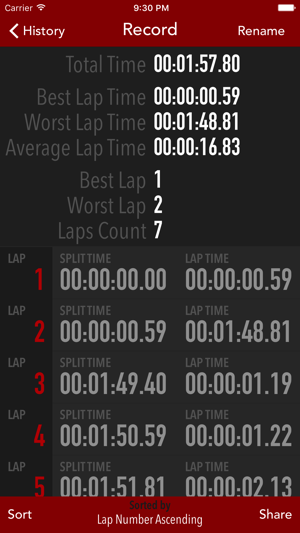 Old mode: this mode records lap split times at the end of a lap. For that reason the first lap is added after user taps on the Lap button. This app works great for Rowing Head races. 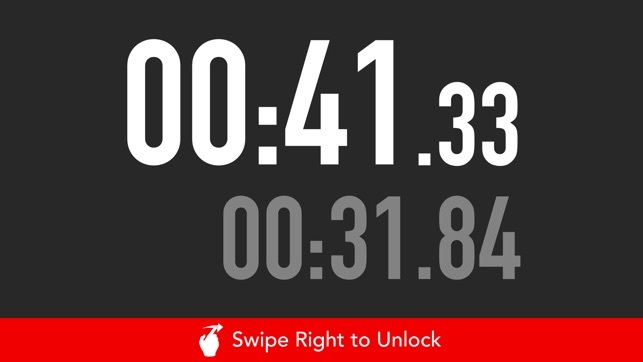 Continues to take cumulative clock times, just can’t add comments to times until after you share the results.